Before taking the course I had difficulty in crossing the road at night. I could cross only with help. After the course I am able to cross the road at night comfortably even in very dark roads. Before Course Car light has to hit me, but after course I can view car light in the dark and it does not hurt me. The course has definitely improved my eyesight. 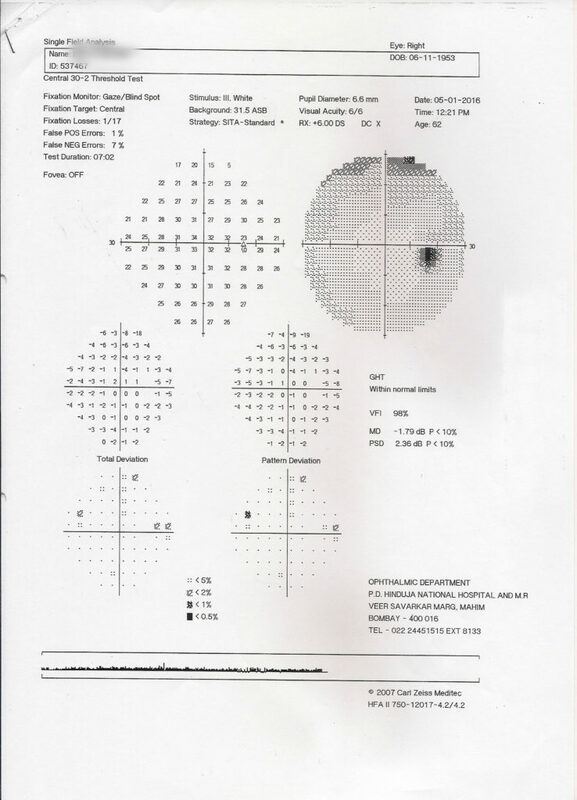 In august 2015, I went for my routine eye check up with no previous records of any eye aliments. 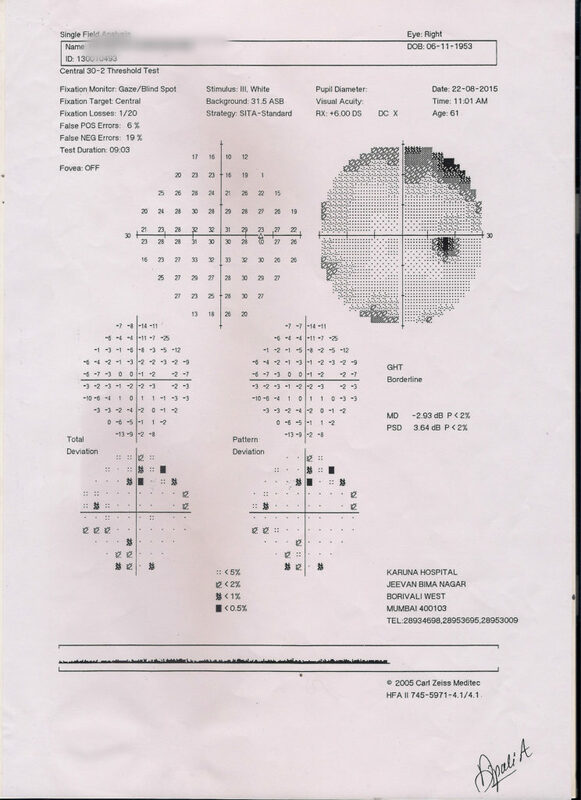 However to my surprise the Doctor found that my eye pressure (IOP) in both eyes has increased by 25 & 28 whereas the normal pressure should be between 12 to 20. 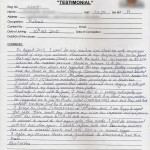 He advised eye drops and suggested this may require further investigation and this could be the initial stage of Glaucoma. He also performed two test called as perimetry and OCT. The perimetry test shows GHT. 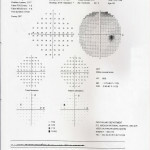 Border –line whereas OCT (Glaucoma evaluation) Some percentage is in Border line. I went for a second opinion that doctor advised laser surgery in both eyes. This shattered my hopes of recovery even further. Mystically I met with Dr.Goyal, I knew that he is running naturopathy eye treatment centre in Yogi nagar. I discussed with him about my eye problem, He suggested me to join the centre called (SANJEEVAN) and said they will treat without medicine and try to avoid surgery. I joined the centre (SANJEEVAN) on 10th October 2015. I am happy to report that after three months long program my vision has improved and eye pressure (IOP) has come dow to 19 in both eyes. As advised to repeat the test again after three months. I went for review and both test was done again . I wish to inform both test perimetry and OCT are within Normal limits and also IOP is in normal range. I offer my sincere thanks and gratitude to SANJEEVAN and their team. I was reading with the glasses before this exercises. But Now I can read the paper without glasses. I feel there is improvement in my eye sight after learning & doing the eye Exercise which I attended the camp for one week at Vashi. Thanking you for your guidance and co-operation of your working staff members. 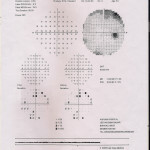 I was suffering from bilateral glaucoma since 1999. Then I was operated trabeculectomy both eyes by Dr. Haldipurkar of Panvel. Then I could see by both eyes. 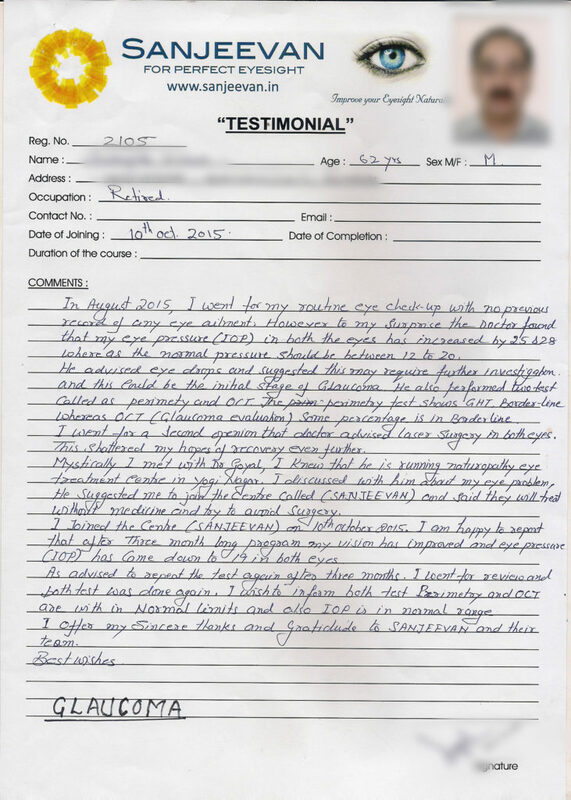 From “Sanjeevan” I was getting my both eyes vision back no doubt I was very much satisfied with this treatment .